At Restorative Pathways, we utilize the Gottman Method for Couples Counseling. The Gottman Method is an approach to couples therapy that includes a thorough assessment of the couple relationship and integrates research-based interventions based on their Sound Relationship House Theory. A conjoint session, followed by individual interviews with each partner are conducted. 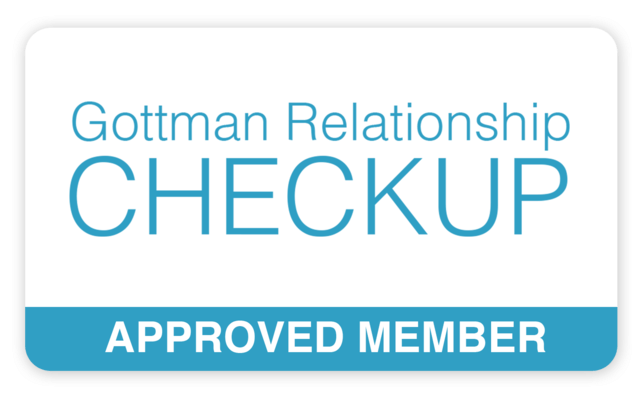 Couples complete online questionnaires (the Gottman Relationship Checkup) and then receive detailed feedback on their relationship. When a relationship is in crisis, an extreme marriage makeover may be needed to help the couple move in a different direction in a shorter period of time than traditional counseling. This method, known as Marathon Couples Counseling, is ideal for couples who have difficulty setting aside time for weekly appointments, highly distressed couples, and couples desiring a more urgent and intensive approach for their issues. How does Marathon Therapy work? Marathon Couples Therapy is a form of Gottman Method™ Couples Therapy. This type of counseling is completed in the course of 2-5 full days of therapy. During each day, the sessions may include two to three hours of therapy in the morning, a break for lunch, and two to three hours of therapy in the afternoon. Your Marathon Couples' Therapy will be structured depending on the issues to be addressed, the amount of time contracted for the therapy, the goals you have for the therapy, and your emotional needs. The benefit of this type of therapy is that it builds momentum rapidly with regard to the therapy process, allowing for breakthroughs to be made in a shorter period of time. And just as in traditional couples counseling, distressed couples learn to foster respect and friendship, while also building a deeper, more secure connection with one another. Couples learn to keep discussions calm and productive to facilitate breakthroughs, understand each other’s inner worlds, gain skill in resolving conflicts and dealing with gridlocked issues and open up the channels of communication. The Marathon Couples' Therapy approach has been shown to have benefits for couples that undertake it. It often leads to a significant reduction of feelings of distress, resolution of specific problems, and a stronger relationship. In many cases, it has moved couples from thinking of ending their relationship to recommitting to it in new ways. However, it is important that you also understand the risks involved. Despite the "nuts and bolts" approach of this method, the Marathon Couples' Therapy format may move you more quickly and intensely into the areas of difficulty to be addressed. Therefore, you and /or your partner may experience uncomfortable feelings like sadness, guilt, anxiety, anger, loneliness, and helplessness. Your therapy may also involve recalling unpleasant aspects of your history together and/or individually. Difficulties between the two of you may become temporarily amplified. Additionally, difficulties with people important to you may also occur, family secrets may be disclosed, and despite our best efforts, therapy may not work out well. Thus, we can make no guarantees about how the therapy process will be for the two of you specifically or what the outcome will be for your relationship. In addition, Marathon Couples' Therapy, as with couples' therapy in general, has limitations and may be unadvisable in the following situations. Upon completion of the therapy, we can prepare a written summary of your therapy process and recommendations for you as a couple, and if indicated, for each of you individually. We may recommend that Marathon Couples' Therapy be followed by regular weekly couples' therapy. If your relationship is in crisis or you want to see more rapid change than traditional counseling can offer, Marathon Couples Therapy may be the fastest route to healing.